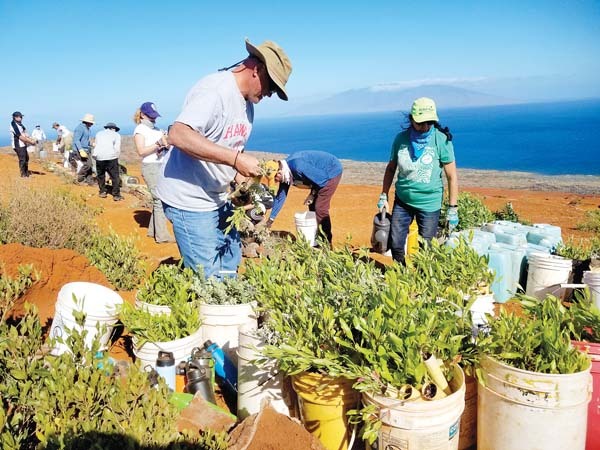 It has always been an important cultural tradition on Maui to involve multiple generations — parents, grandparents and even great-grandparents — in raising young family members. The idea “it takes a village to raise a child” is part of the rich culture of our island. When grandparents take on this role, grandchildren do better academically, socially and emotionally than if the children had to enter foster care. They also have fewer run-ins with the law. Grandparents also benefit from the knowledge that they are keeping the family together and providing a safety net for their grandchildren. In order to support these grandparents in their important work, many organizations offer resources and services. One of which is GRANDcares, a program offered in Maui by the University of Hawaii at Manoa Extension. When the full GRANDcares program is rolled out, it will offer classes and resources for grandparents, their grandchildren and their service providers. Past “Aging Matters” articles have covered the first phase of GRANDcares, which involves a six-week class for grandparents who are raising grandchildren. Topics focus on tools that help grandparents maintain healthy activities, practice communication strategies that help them advocate for themselves and their grandchildren, stress reduction activities, relaxation techniques, and the use of family meetings to make and follow through with decisions related to the family. One of the underlying themes is one we hear every time we fly — secure your own mask before assisting others. Our grandparents overwhelmingly say that when they use the GRANDcares tools that help them “secure their own mask first,” they are better able to be the grandparent they want to be and their grandchild needs them to be. Beginning April 5, the second phase of GRANDcares kicks off. It is called GRANDcares Youth Club and is a six-week club for grandchildren between 9 and 12 years old who are raised by their grandparents. Topics parallel the grandparent program and include stress reduction, communication, goal setting, leadership and problem solving. Youths will also plan and carry out an activity for their ohana that takes place at the end of the club meetings and celebrates the friendships youths and grandparents have developed and the fun they have had while learning important life skills. While GRANDcares Youth Club is taking place, grandparents will participate in their six-week class, and grandchildren who are too young or old for the youth club will have activities in a separate room. This means that the entire grandfamily can participate and there’s no need to find a babysitter for the youngest. In early summer, the third and final phase rolls out. It involves webinars for service providers who work with grandfamilies — teachers, school officials, nonprofit agency workers, social workers, counselors, therapists and others. While the webinars will be accessible to everyone, there will also be an option to invite GRANDcares to agency, school or church staff meetings to present the webinar and offer time for questions and answers. University of Hawaii Extension is excited for the expansion of GRANDcares and looks forward to meeting and working with more local grandfamilies. While the April GRANDcares classes take place in Kahului, the program will travel to other locations on the island over the next year. • Visit the UH Extension tent at Maui Ag Fest on April 7 at Maui Tropical Plantation. • Visit the GRANDcares booth at Maui’s Keiki Fest on April 14 at UH-Maui College. • Call Maui’s UH Extension Office at 244-3242, ext. 226. • Contact the Maui GRANDcares Site Facilitator, Christine Spencer, at grandcaresmaui@gmail.com. • Email Heather Greenwood-Junkermeier, who oversees the project on Maui, at heather8@hawaii.edu. * Heather Greenwood Junkermeier is with the University of Hawaii Manoa Cooperative Extension, Maui Intergenerational and Aging Programs. “Aging Matters” covers topics of interest to the aging Maui community and appears on the third Sunday of each month.